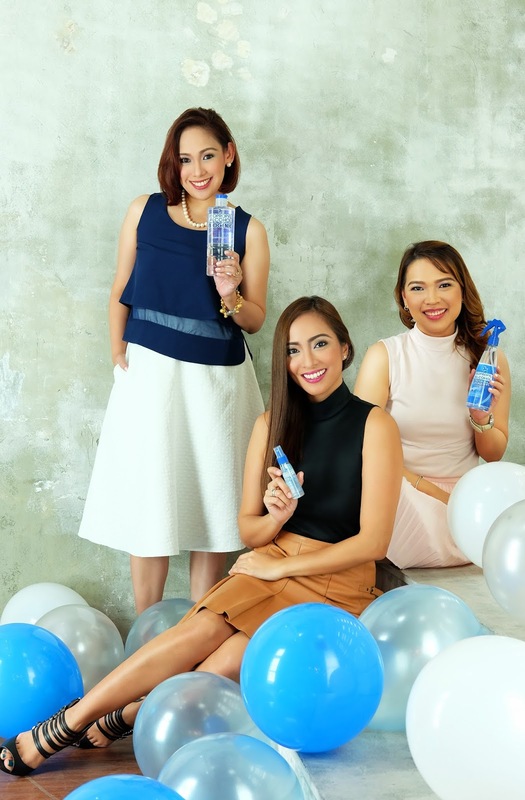 Get to know the Biogenic Mom Bloggers! Can you spot the familiar looking faces? I am so proud to announce that AskMeWhats is part of Biogenic Mom Squad! This campaign is definitely for the books because I am a self-proclaimed BIOGENIC walking advertiser! Even before turning into an "AskMeMom", amidst the popularity of alcohol in "gel form", I am still a believer of regular alcohol. I'm old school (Not old :P ) but I have this sense of comfort every time I spritz. Especially when I'm outside with no access to soap and running water. So when Biogenic came out with a spray bottle, God knows I hoarded (in boxes, promise!). Now, don't get me wrong, I'm not a fan of Biogenic just because of the packaging, the main reason why I fell in love with the brand is because of 2 major factors--- Good scent and Non-Drying. Both Biogenic Isopropyl Alcohol and Ethyl Alcohol do not have strong chemical scent. The scent is mild and friendly! I even used this a lot during pregnancy days and thankfully, it works even with strong aversion to anything with fragrance. Now, best feature of Biogenic alcohol is that, they are non-drying! I use alcohol so many times a day and thankfully, it never strip off the natural oil from my skin! So I make sure to have them around on most corners of the room, inside the car, in my bag and of course, in my professional makeup kit. Before I blab more about the product, let's talk about the shoot! 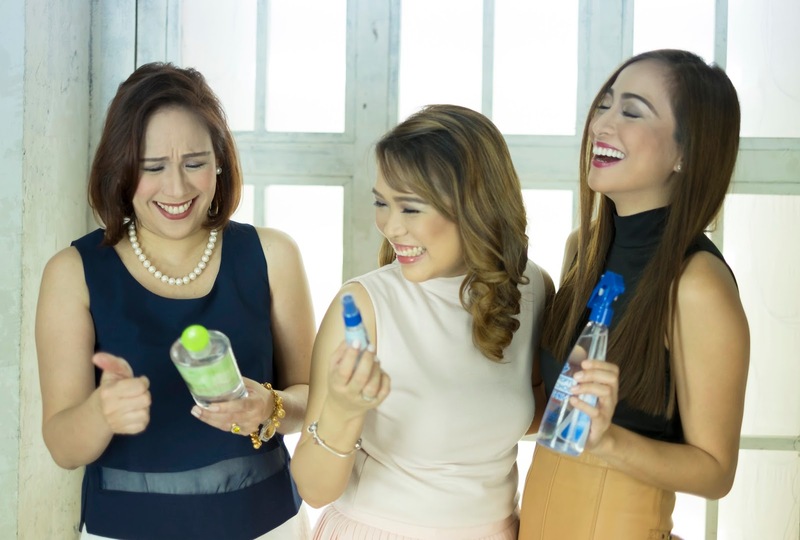 Biogenic Alcohol got hold of 3 Mom Bloggers together for a fun shoot! (Note: This isn't the first time we had a shoot together! Can you still remember the first shoot we did?) They picked not only regular mommies but mommies who use the product as an integral part of their everyday lives. Biogenic Moms --- Frances, Me and Jackie! As you can see in this candid photo, it was one shoot I would never forget! I had so much fun shooting with these girls who are not only well-known personalities in the industry, they are also extremely funny, down-to-earth and talented! I am so honored to be photographed with these two! Frances Sales (www.topazhorizon.com) - I met her year 2010 and even got to sit and chat over coffee. Fast forward to today, we still update each other whenever we see each other on events, we randomly share mom-musings and Blogging tips over FB messaging at wee hours of the night! (If you're a mommy, you'll understand our "quiet moments") At present, she still holds her post as a magazine editor aside from being a mom to 3 active boys! Amazing right? And if that isn't impressive enough, she is currently doing rounds around the Metro sharing her insights on being a Digital Influencer. She is definitely a mom I look up to! And last but not the least, there's ME! I don't know what the Biogenic Team sees in me but I'm glad they included me in this roster because....if I haven't stress enough, I am an avid Biogenic User! PERIOD! Holding a Biogenic Bottle, smiling in front of a camera is definitely one of the easiest task I've done in my Blogging Career. Thanks Biogenic Alcohol for the love and support, and I wish YOU support the brand I love too! 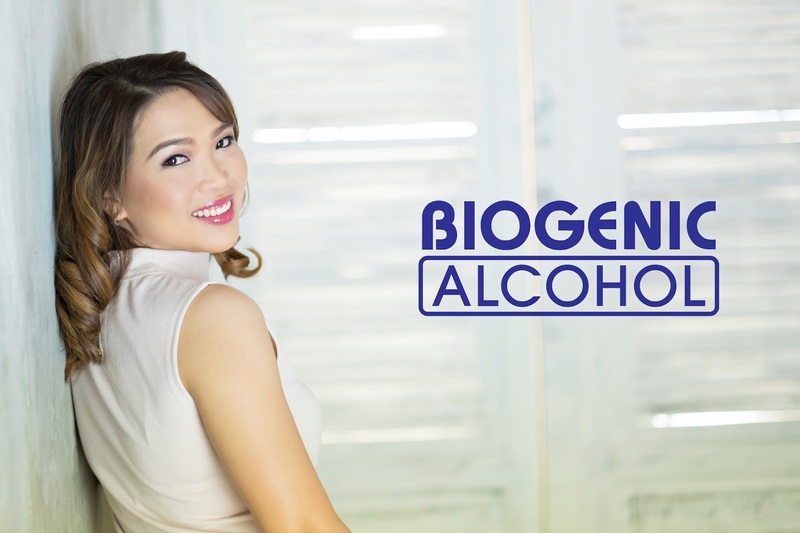 Are you a Biogenic Alcohol user too? I think I am an odd ball in that when I use alcohol to sanitize, I like it to smell like alcohol---isopropyl has this sterile and clean smell that puts the germaphobe in me at ease. An alcohol that smells like lancome Miracle doesn't do it for me. I Love Biogenic, I both have the big and small spritzer for years. One for my home and the little one on my bag. Since I have allergies on strong scents, this is my choice of daily sanitizer over the usual gel and strong scented ones. I love your Hair Color here, Ms. Nikki;)what's specific color is that?